Howard H. Donohoo was born in June of 1859, in Nelson County, Kentucky to Michael and Caroline (Green) Donohoo . 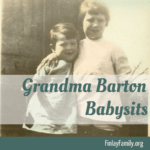 In the 1860 Census, one-year-old Howard resided in Nelson County, Kentucky, with his parents Michael and Caroline, four brothers, three sisters, his maternal grandfather and five boarders . 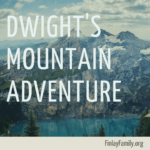 By 1870, Howard was 11 years old, residing in Nelson County, Kentucky, with his parents Michael and Caroline, four brothers, two sisters, and three boarders . 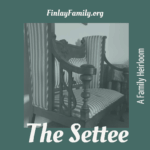 By 1880, Michael Donohoo had died, leaving Caroline as the head of household, with 21 year old Howard, four other sons and one daughter living in the household. Howard worked as a clerk at a wholesale grocery . Between 1882 and 1891, Howard’s sales circuit includes: Memphis, Tennessee ; Louisville, Kentucky ; Atlanta, Georgia ; Wilmington, North Carolina ; and Charlotte, North Carolina . In the 1891 St Louis city directory, Ansel B. and Howard H. Donohoo are listed consecutively as traveling for the Taylor Manufacturing Company . In April 1891, Ansel and Howard visited their mother, Caroline, in Bardstown , as was their annual tradition . 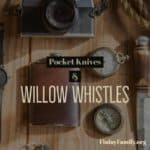 Between 1891 and 1900, while still anchored in St. Louis, Howard’s sales circuit included: Wilmington, North Carolina ; Asheville, North Carolina ; Raleigh, North Carolina ; Houston, Texas ; and New Orleans, Louisiana . Sometime around 1901, H.H. Donohoo changed to a non-traveling sales position based in New Orleans, Louisiana with the Preston & Stauffer tea department , and then with the N.O. Import Co., Ltd..
By this time, H.H. Donohoo was 45 years of age, widely known and traveled throughout the South, and still single. Unnamed baby boy Donohoo. Born June 1859 to Michael and Caroline ‎(Green)‎ Donohoo. Ancestry.com. Kentucky, Birth Records, 1847-1911 ‎[database on-line]‎. Provo, UT, USA: Ancestry.com Operations Inc, 2007. Original data: Kentucky. 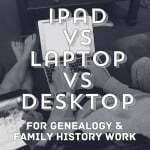 Kentucky Birth, Marriage and Death Records – Microfilm ‎(1852-1910)‎. Microfilm rolls #994027-994058. Kentucky Department for Libraries and Archives, Frankfort, Kentucky. ‘Kentucky Births and Christenings, 1839-1960,” index, FamilySearch ‎(­https­://­familysearch­.­org­/­pal­:/­MM9­.­1­.­1­/­FWVB­-­BZZ­ : accessed 15 Oct 2014)‎, Donohoo, Jun 1859; citing NELSON,KENTUCKY, reference ; FHL microfilm unknown. H H Donohoo. 1882 St Louis, Missouri City Directory. Accessed at fold3.com on 19 March 2016. 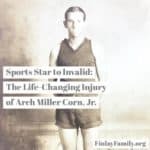 “Kentucky, County Marriages, 1797-1954,” index and images, FamilySearch ‎(­https­://­familysearch­.­org­/­pal­:/­MM9­.­1­.­1­/­VHC8­-­MS3­: accessed 17 December 2014)‎, Ansel B Donohoo and Ada Wood, 23 Apr 1884; citing p. 360, Nelson, Kentucky, United States, Madison County Courthouse, Richmond; FHL microfilm 481,494. St Louis, Missouri, City Directory, 1885. Ancestry.com. U.S. City Directories, 1821-1989 ‎[database on-line]‎. Provo, UT, USA: Ancestry.com Operations, Inc., 2011. Ansel Donohoo, page 332. “H.H. Donohoo, St. Louis.” Memphis Daily Appeal ‎(Memphis, Tennessee)‎. 29 January 1884, Tues. Accessed at chroniclingamerica.loc.gov on 21 January 2015. The Courier-Journal ‎(Louisville, Kentucky)‎, Tue, September 1, 1885, page 6, digital images, Newspapers.com: accessed 3 February 2015. “H.H. Donohoo…” The Atlanta Constitution ‎(Atlanta, Georgia)‎. 26 September 1888, Wed. Page 5. Accessed at newspapers.com on 26 December 2015. “At the Orton, H.H. Donohoo, New York.” The Wilmington Messenger ‎(Wilmington, North Carolina)‎. 30 December 1888, Sun. Page 4. Accessed at newspapers.com on 21 January 2015. “At the Orton, H.H. Donohoo, St. Louis.” The Wilmington Messenger ‎(Wilmington, North Carolina)‎. 13 March 1889, Wed. Page 8. Accessed at newspapers.com on 21 January 2015. “Mount Vernon Hotel Arrivals: St. Louis: H.H. Donohoo.” The Charlotte Observer ‎(Charlotte, North Carolina)‎. 4 September 1890, Thu. Page 3. Accessed at newspapers.com on 21 January 2015. Mr. Howard H. Donohoo” The Courier-Journal ‎(Louisville, Kentucky)‎. 9 June 1889, Sunday. Page 16. Accessed at newspapers.com on 20 January 2015. “Miss Lila Johnson entertained her friends…” The Courier-Journal ‎(Louisville, Kentucky)‎. Sat, Jun 20, 1891. Page 9. Accessed at newspapers.com on 20 January 2015. “Mr. H.H. Donohoo, of St. Louis, is at The Orton.” The Wilmington Messenger ‎(Wilmington, North Carolina)‎. 15 May 1891, Fri. Page 4. Accessed at newspapers.com on 21 January 2015. “H.H. 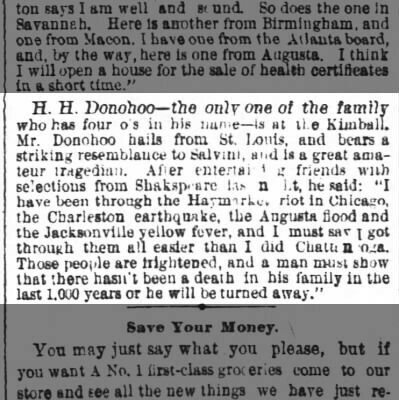 Donohoo, St. Louis… Among the arrivals at the Orton yesterday.” The Wilmington Morning Star ‎(Wilmington, North Carolina)‎. 18 September 1891, Fri. Page 1. Accessed at newspapers.com on 21 January 2015. “Mr. H.H. Donohoo, of St. Louis, is at the Orton.” The Wilmington Messenger ‎(Wilmington, North Carolina)‎. 22 November 1891, Sun, page 4. Accessed at newspapers.com on 21 January 2015. “H.H. Donohoo..at the Orton yesterday.” The Wilmington Morning Star ‎(Wilmington, North Carolina)‎. 21 July 1892, Thu. Page 1. Accessed at newspapers.com on 21 January 2015. “Mr. H.H. Donohoo, of St. Louis, is registered at the Orton.” The Wilmington Messenger ‎(Wilmington, North Carolina)‎. 22 October 1892, Sat. Page 4. Accessed at newspapers.com on 21 January 2015. “Battery Park: H.H. Donohoo, St. Louis.” Asheville Citizen ‎(Asheville, North Carolina)‎. 18 November 1891, Wed, page 3. Accessed at newspapers.com on 21 January 2015. “Arrivals at the Yarboro Yesterday. H.H. Donohoo, St. Louis.” News and Observer ‎(Raleigh, North Carolina)‎. 9 April 1892, Sat. Page 4. Accessed at newspapers.com on 21 January 2015. “H.H. Donohoo, New York.” The Houston Post ‎(Houston, Texas)‎. 13 March 1898, Sun. First Edition. Accessed at newspapers.com on 21 January 2015. “Hotel Royal: H.H. Donohoo, New York.” The Times-Picayune ‎(New Orleans, Louisiana)‎. 2 July 1898, Sat. Page 6. Accessed at newspapers.com on 21 January 2015. H.H. Donohoo. 1902 New Orleans, Louisiana City Directory. Accessed at fold3.com on 17 March 2015. H. H. Donohoo. 1904 New Orleans City Directory. Accessed at fold3.com on 17 March 2015. “H.H. 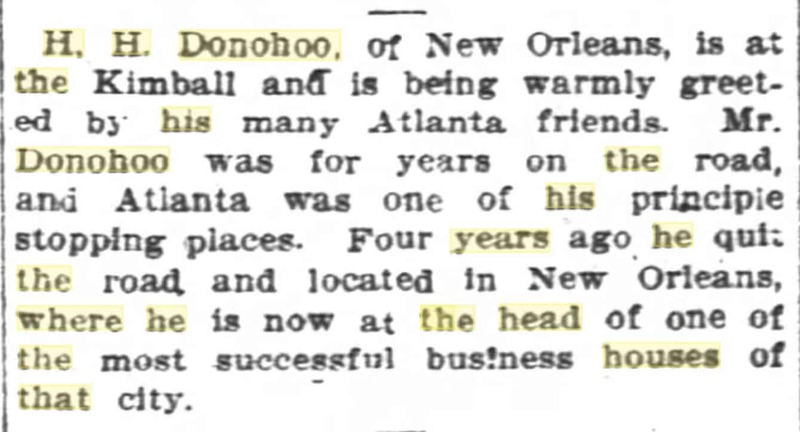 Donohoo of New Orleans.” The Atlanta Constitution ‎(Altanta, Georgia)‎. 3 April 1905. Page 10. Accessed at fold3.com on 20 March 2016.